Gail Ann Leaming, was born on June 18, 1945 to Frederick Merle and Vesta Vaughnita (Ferguson) Winchell in Sedalia, Missouri. 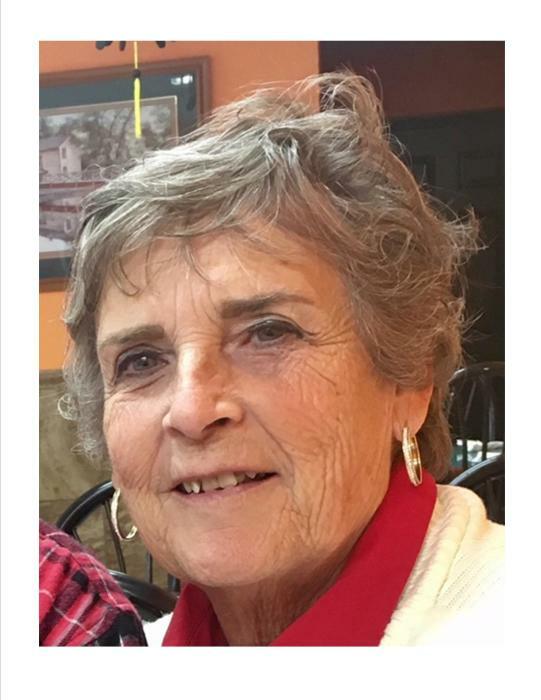 She passed away on Friday, November 17, 2017 at 5:14 p.m. at the Mercy Hospital Carthage in Carthage, Missouri. Gail shared 72 years, 4 months and 29 days with us. Gail grew up in the Milford area. She graduated from the Golden City High School with the class of 1963 and also had some college credit for MSSU. Gail married Ronald Perry Leaming on March 17, 1962 at White Oak. He preceded her in death on January 19, 2015. Since 1962 they lived on the farm. Gail was a columnist for the Lamar Democrat and the Greenfield Vedette newspapers. She also traveled with her husband on his truck until his passing in 2015. Gail had many interests. She was a quilter, played many instruments including the Marimbulla, loved bluegrass music and played at many locations including Red Oak, Silver Dollar City, the Cowboy Church and other places. Gail was a pilot, served on the election board, was a farmer, Mary Kay consultant and director and a good-hearted landlord. She was a member of the Reorganized Church of Jesus Christ (RLDS) in Carthage and the Fiddler’s Organization. Gail was also honorary member of the Eastern Star. Gail is survived by her fiancé, Marvin Bancroft-Poole, of Lousiana, her son Russ Ronald Leaming and wife Kellie Kae of Pacific, MO, her daughter Kamala Leaming and husband Paul Sutton of Stotts City, Missouri, her sisters; Clea Kleeman and husband Louis, Miller MO, Diana Gray and husband Lonnie, Granby, MO, and Evelyn Gasper and husband Bob, Kansas City, MO and her brother, Terence Winchell and wife Teresa, Milford, MO, her grandchildren Wrenn, Ariel (and fiancé David Carter) and Anastazia Tanner and her great granddaughter Addyson. Many nieces and nephews, other family members and friends will miss this wonderful lady.